We will be keeping vigilant security for our veterans, for the families of our active-duty servicemen and women, and for the children and students of our communities during the 2018-2019 administrative year at the zoo. What can we do to support the emotional and social needs of active, reserve and transitioning military servicemembers and their families? --Provide Blue Star or Gold Star Banners for military families or businesses in recognition of a service member’s service. available to help, such as PTSD, TBI, domestic violence, financial literacy and other issues. --Support active-duty military families by working with an installation Family Readiness Group (FRG). Contact the Family Readiness Center on your nearby military installation for more information. --Greet servicemembers and families as they deploy and/or return from a deployment. What can we do to assist military spouses in getting and maintaining employment? --Promote military spouse job fairs in your community and volunteer to help. --Help staff an information booth about the ALA at a job fair for military spouses. What can we do to support the National Security programs of the American Legion? FEMA’s Community Emergency Response Teams” for information and specific steps. For additional ideas, go to the national website alaforveterans.org and peruse the 2018-2019 Annual Supplement to the Programs Action Plan for the National Security chairmanship. 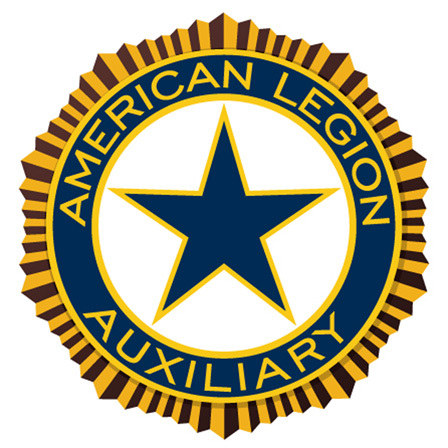 The 2017-2022 American Legion Auxiliary Programs Action Plan is also available online. There is a national National Security Committee Facebook group; search “ALA National Security”. I will be looking forward to receiving the units’ activities for the Mid-Year Report by the end of the year so that I can have my report in to the Central Division Chairman of National Security by January 5, 2019. As we watch the zookeepers feeding each animal their distinct diet according to their species, we will be reminded to be ever watchful of the practical, emotional, and social well-being of the active duty and transitioning military servicemembers and their families that we serve. When we pass by the veterinarian who is attending to an out-of-continent species, we will be reminded to contact the Family Readiness Group at a local base for contact information on local active-duty military families in the hopes that we, the American Legion Auxiliary, can adopt families to assist in meeting whatever needs they have while their Significant Other Service Member is away on-or-near another continent serving the interests of our nation’s national security. In walking through the zoo these past two weeks, I did see the relieved faces of family members whose service members’ remains were recently returned home from Southeast Asia from the Korean Conflict. Their relief is our relief. Some of the Zoo visitors were wearing Gold Star pins and I even overheard some mention that their local ALA units had presented them with Blue Star and Gold Star banners and how much their family appreciated the recognition. As we passed the First Aid Office, we heard a child crying as the nurse was applying antiseptic to a scraped elbow after the child had tripped and scraped his arm on the pavement. It reminded me that our active-duty families have specific challenges and needs every day. As ALA members, we should also support the troop and family support programs of The American Legion. By working together with The American Legion and Sons of The American Legion, we should seek out the wounded warriors that come home and assist in whatever way we can. The opportunities for service are endless. When we visited the Gift Shop, we noticed a flier that stated that veterans’ organizations could get discount entrance fees, as well as use their zoo membership cards at reciprocal zoos around the country. Organizations such as Operation Comfort Warriors (OCW), Heroes to Hometown (H2H), the Family Support Network (FSN), and the entire American Legion Family organizations were listed. The group I was with at the zoo learned so much and had so much fun together that they decided to take two cars next time to the zoo and fill both cars with ALA members and some of the kids of active-duty families from their area. Exiting the Gift Shop, I noticed an announcement on a bulletin board that Winthrop Harbor, Illinois, native, Bailey Hoenig, Senior at Zion-Benton Township High School and member of the NJROTC Unit from the Tenth District, qualified as the National Champion in the Sporter Shooter (air rifle competition) Division at The American Legion Junior Shooting Sports annual competition in Colorado Springs, Colorado, in late July, 2018. Baily received a $5,000.00 scholarship for her National Championship. This is two years in a row that the ZBTHS NJROTC Unit had a National Champion; Hailey Smith was the Sporter Shooter National Champion in 2017. Another NJROTC shooter from ZBTHS also placed in a high bracket in 2016 when Sharon Conatser was National President. My friends that visited the zoo with me picked up a National Security flier in the literature rack before we departed. While I was driving everyone home, I heard them talking about the Department and National Awards, as well as some of the myriad of programs that the National Security program encompasses. They mentioned a few of the programs; but being tired from being out in the fresh air all day, decided that they would check out the programs when the fall packet comes out or in the ALA Today newsletter or on the department website after all new program information is posted for the 2018-2019 administrative year. Coupons accepted up to 3 months after expiration date. Store Coupons Only. No Fast Food coupons accepted! Separate Coupons: i.e. toothpaste coupons together; diaper coupons together, etc.